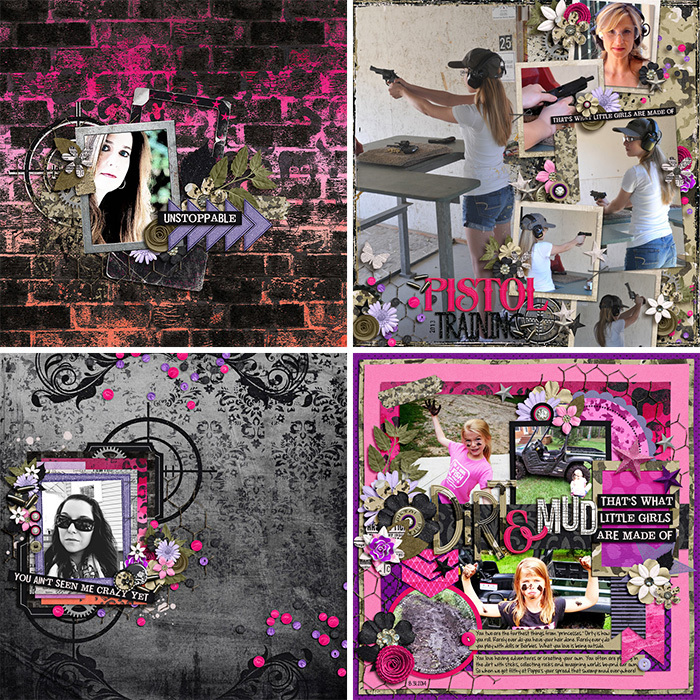 Libby Pritchett Designs: New Baker's Dozen - 50% Off! New Baker's Dozen - 50% Off! 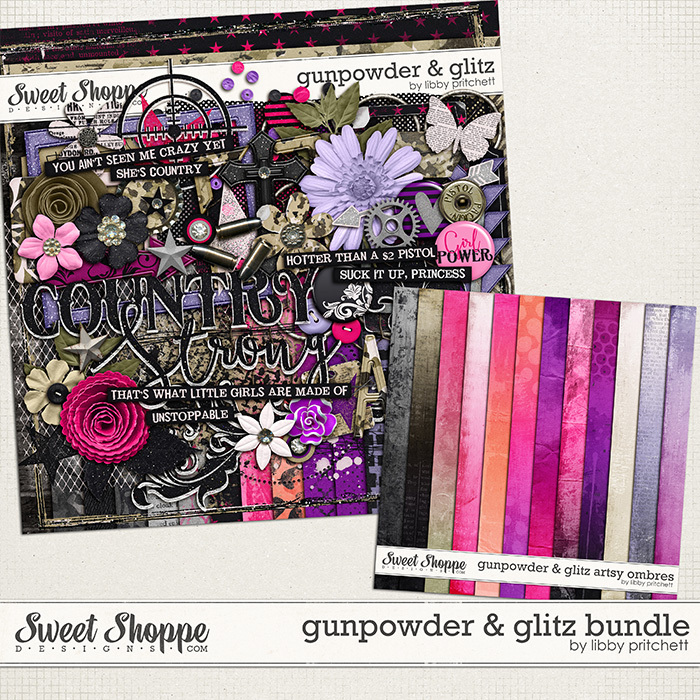 This week, I'm putting my Gunpowder & Glitz Bundle in the spotlight. I made this kit last year after my husband & I attended a Miranda Lambert concert. As we walked through the hall and saw all the country girls all decked out, I leaned over and said, "I've got an idea for a kit!" That's how this one was born! And to make this deal even sweeter, the 50% Off for the Baker's Dozen discount is on top of the already-discounted bundle pricing! These products would retail for $11.98 separately, but this week only, you can grab the bundle for just $5!